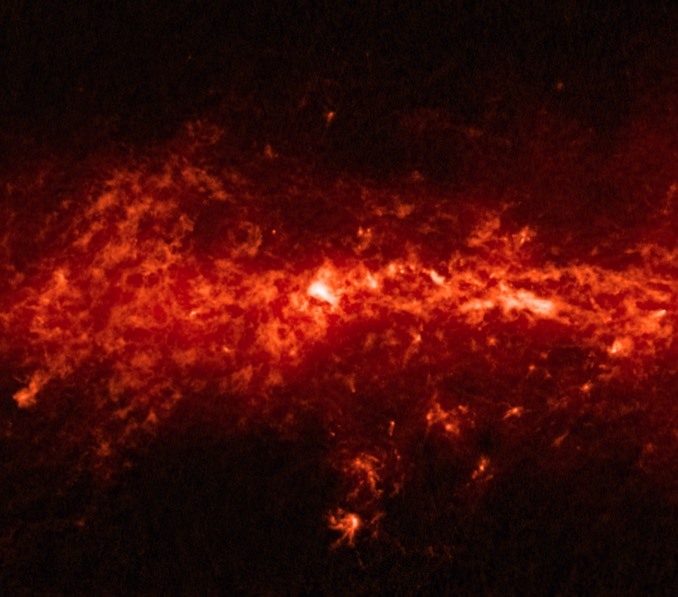 The European Space Agency’s Planck satellite and the internationally-operated Atacama Pathfinder Experiment (APEX) combined to produce a unique view across the plane of the Milky Way showing what ESA describes as bright pockets of “compact sources of submillimetre radiation: very cold, clumpy, dusty regions that may shed light on myriad topics all the way from how individual stars form to how the entire universe is structured.” APEX, located in the Chilean Andes, is a partnership between the Max Planck Institute for Radio Astronomy, the Onasala Space Observatory and the European Southern Observatory. The Planck spacecraft was built to study the cosmic microwave background radiation left over from the big bang. Stars like the Sun begin their lives as cold, dense cores of dust and gas that collapse under the influence of gravity until nuclear fusion is ignited. 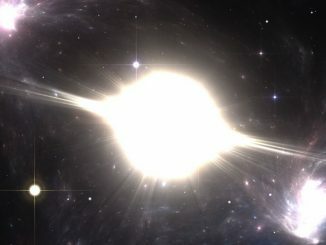 How the collapse process occurs is poorly understood, so astronomers are actively studying these issues by observing young stars in the process of being born. Star formation is taking place all around us. 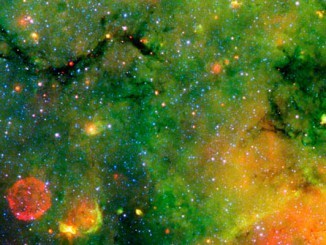 The Milky Way is laced with clouds of dust and gas that could become the nursery of the next generation of stars. 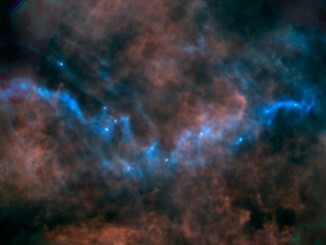 Thanks to ESA’s Herschel Space Observatory, we can now look inside these clouds and see what is truly going on. This image shows a cold cloud filament, known to astronomers as G82.65-2.00.